Leading Manufacturer of lab view real time data acquisition systems, data acquisition systems using lab view and lab view data monitoring systems from Chennai. real time data acquisition system is an effort on our part to bring the real situations into digital time frame. the combination of latest technologies and high quality parameters makes our device more acceptable. they are applicable in different kinds of monitoring systems like laboratory monitoring, power plant monitoring and under water monitoring systems. we offer them with both 2 d and 3 d measuring sensors. we ensure timely delivery of our product. 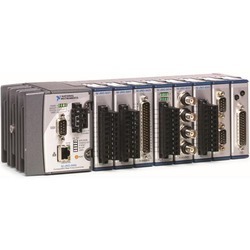 pc-based data loggers offer more than just the basic pc connectivity of traditional stand-alone data loggers. with a pc-based data logger, the pc is part of the system, so the data logger can take advantage of the ever-increasing performance of a pc’s processor, hard drive, display, and peripheral bus. these capabilities introduce several advantages over traditional data-logging methods. We make continuous efforts to bring out newer technologies that would enable our consumers to convert real physical conditions into numeric values. Sophisticated Data Acquisition Systems is assisting us in this effort and they are manipulating the situations into digital frame. This fine machinery finds its application in environmental monitoring system, rural monitoring system, power plants, laboratories and hospitals. We provide both 2 D and 3 D measuring sensors in our device. It is a weather proof machine and offered at reasonable price. 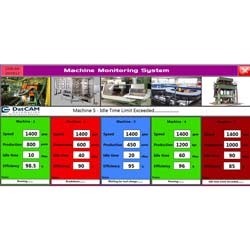 Dat CAM Automation has Indigenously developed a software which continuously monitors the machine and updates OEE data. Data Monitoring Systems are used in the applications that require the highest integrity. Applications where false trips or missed trips simply cannot be tolerated. When you choose our machine data monitoring solutions, you get it all: the best products, the best service, the best solutions, and the best value. 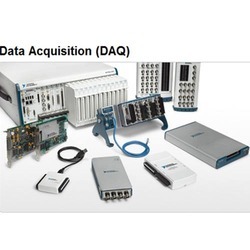 Looking for “Data Acquisition and Monitoring Systems”?